The Second Album continues where they left off 16 years ago when they released their first album, The Album, which is still universally considered a classic that broke the mold for independent rap albums both sonically and sales-wise. Never before had a rap duo pushed the envelope in terms of creative sound and political message and been so widely accepted and celebrated. As true ambassadors of the culturally and historically rich San Francisco Bay Area, with Lyrics Born identifying as being an Asian American that “happens to be bi-racial, basically a member of the Obama generation,” and Lateef’s father having worked security detail for the Black Panthers and his mother having worked as a medic for the Panthers, it’s no surprise that much of their lyrical content is socially and politically charged. 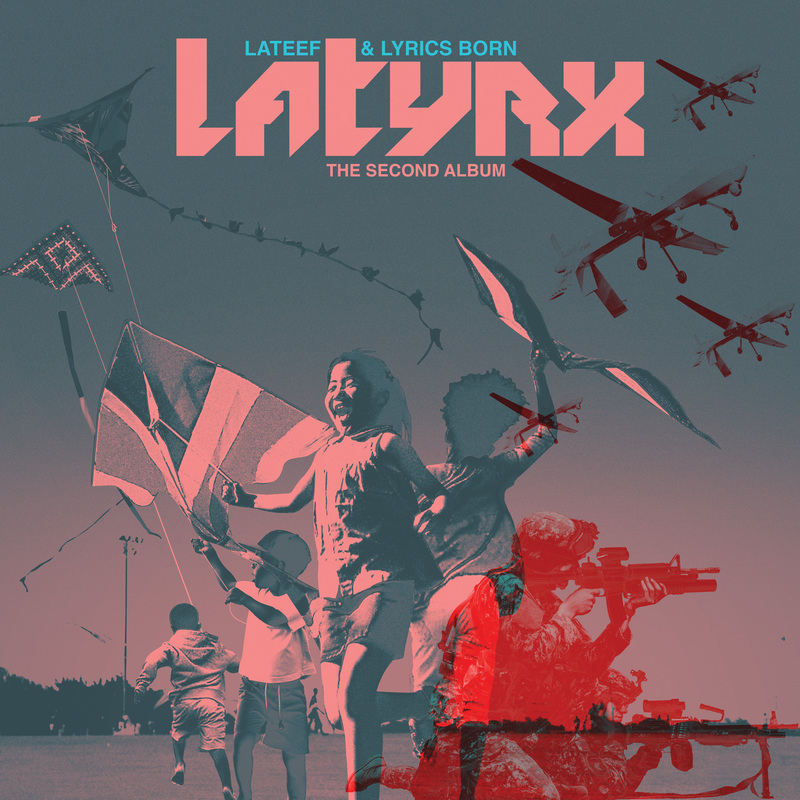 Backed with their signature production style that’s full of rare funk and soul samples, Latyrx’s 2013 richly textured release will appeal to old fans and garner them new ones. In the 90’s, Latyrx helped co-found the Solesides collective and artist-run record label consisting of DJ Shadow and Blackalicious, which pushed boundaries of commercial hip-hop using sounds atypical of the mainstream 90s hip-hop scene. The past 20 years has seen them working on various solo projects, writing books, having their music used in campaigns by Nissan and EA Games, being nominated for a Grammy, appearing on Jimmy Kimmel LIVE and the Late Show with David Letterman and at festivals around the world, the two are ready to unleash their forward-thinking experimental-leaning second full-length project, The Second Album, on their own Latyramid label on November 5th.